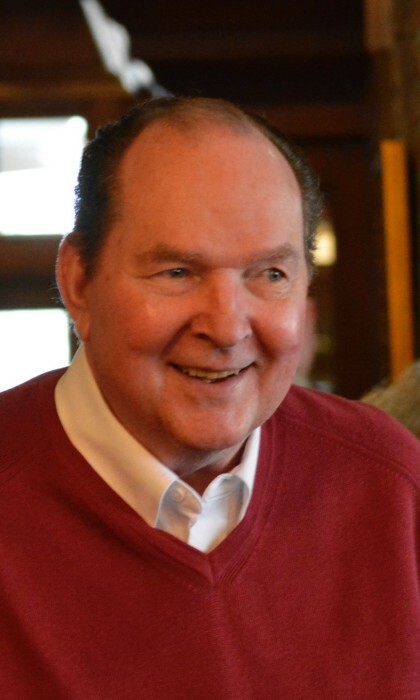 Luther B. Yount, JR., 74 of Charlestown, IN passed away of Wednesday March 20, 2019 at Norton Brownsboro Hospital. Luther was born on October 28, 1944 in Clark County, IN to Luther and Martha Johnson Yount. He was a U.S. Navy Veteran of the Vietnam War and while in the Navy he was a member of the Honor Guard that participated in President Kennedy’s Funeral Service. He was a retired Production Control Manager for General Electric, a Kentucky Colonel, member of the American Legion and V.F.W. and a member of the North Charlestown Church of God. He is survived by his wife of 53 years Rosemary Sergent Yount; sons, James Yount (Dr. Vanessa Kaleb) of Oakland, CA and Roger Yount (Michelle) of Charlestown; sisters, Mary Shepherd of Otisco, IN, Martha Stoner of Jeffersonville, IN and Ruth Ann Young (Todd) of Perryville, MD; grandchildren, Alexander Yount, Craig Thomas (Sarah), Breanna Boman and Quincy Yount; great grandchildren, McKenna Welty and Madelyn Thomas and numerous nieces and nephews. Life Celebration Services will be held at 2 pm on Sunday March 24, 2019 at Grayson Funeral Home with burial in Charlestown Cemetery. Visitation will be from 11 am to 8 pm on Saturday and after 10 am on Sunday. Expressions of sympathy may take the form of donations to the North Charlestown Church of God, 2101 Edgewood Drive, Charlestown, IN 47111.